March | 2010 | One Mom Talking: The ongoing story of one mom, three teens, and heroin. Dan turned 20 yesterday. See how this cake is a little wobbly? It’s an appropriate image for how we all felt yesterday — Dan included. We all planned to go out to dinner — his father, brother, sister and I, plus Dan and his girlfriend. We planned to leave at 7PM. Dan went out at 2:00 with a friend. tick. tick. tick. Seven o’clock and no Dan. 7:15. At 7:20 he comes in the door. No explanation. A mumbled “sorry.” His sister had already given up and gone out with her friends, and his girlfriend wasn’t with him. So four of us went. Awkward. Don’t get me wrong, I am, in my deepest heart, thankful for another birthday. But seeing the tracks on his arms … it was hard to feel any mood of celebration. Heppy Birthday, Danny my boy. I have dear friends, a couple, whose baby was stillborn. To work through her grief, the mom, Rebecca, has started an organization “Knits of Grief” and a blog in support of other families who suffer this terrible type of loss. I want to support her by giving her a little boost here. Just as we, as parents of addicts, help each other along via blogland, so she will do the same. If you know anyone who might need this type of support, please pass this along. Even if you don’t, if you’re touched by the blog, Rebecca’s writing, or this topic, I’d appreciate a little help for her by spreading the word: http://knitsofgrief.blogspot.com/. THANKS! 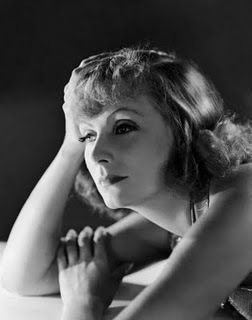 I’m thinking Garbo. Just wanna be alon e. Not the first to say it, not the last. I’m in the mood to be a drama queen. “Hey folks, over here! Look at me!” How about a little help over in this direction? I almost cracked on Friday night. It was like this: My ex-husband called me and asked me to come over to his house to talk about Dan. Dan (my addict boy) has been living full-time with his dad. So i said sure and went over. On the way there, my middle boy, Al, called. His car was stuck on a highway in the snow storm during rush hour. He was 30 miles from the house. Could I come and pick him up? No. Then a few minutes into the chat with the ex, Dan called. He was with a friend driving to pick up the friend’s mom and their car slid on the ice and hit another car. Could I come and pick them up? No. Then my boyfriend texted, “Get dressed honey, I’m on my way and let’s get some italian and a glass of wine! Yay!” Then there was my ex in front of me, “So I need some advice, I just don’t know what to do with him anymore…” And in the midst of all of THAT, my daughter (15) texts and asks when I will be home because I promised to make her a grilled cheese sandwich and she’s hungry. MAKE IT YOURSELF!!! Now it’s Sunday morning and I’m feeling better. But Friday night…I hit overload. And you know what? My daughter got herself something to eat. Al got his car off the highway, and someone stopped and helped him get going again. Dan told his friend he’d have to handle things on his own and walked home to talk with me and his dad. My boyfriend didn’t wait for me and went home. And my ex cooked a dinner so that I would have something to eat. Sometimes saying no is the best thing. I still haven’t had any time alone. And I still want it. I still sometimes want to throw a little fit so someone will stop and take care of me for a change. But that’s okay. This is a long, hard road sometimes, and I don’t have to be perfect. How about you?